getting new high end makeup might be one of my favourite things to do. its just the excitement about a new and lovely products and it surely is a treat and something i always look forward to. i do love myself a little drugstore splurge sometimes but i probably own more high end makeup items because i love them and they have been working very well for me. one of my favourite high end brands has to be nars. 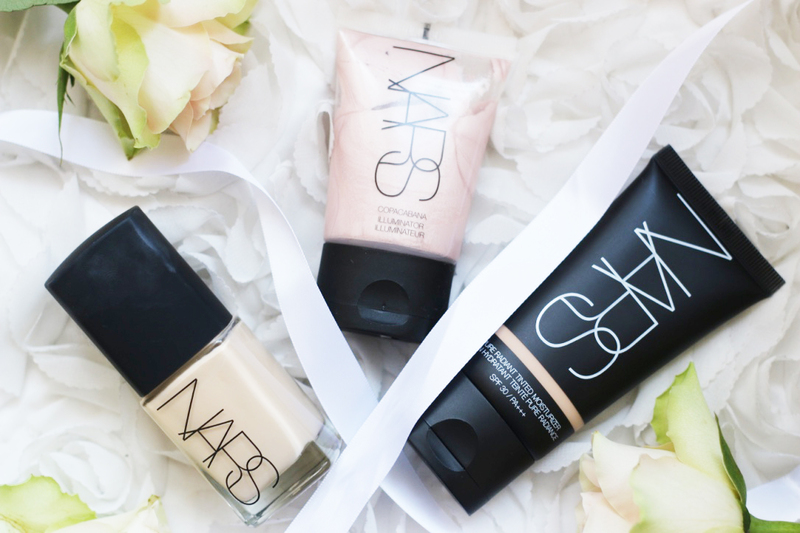 nars does my favourite ever foundation and everything else i have tried i just loved. 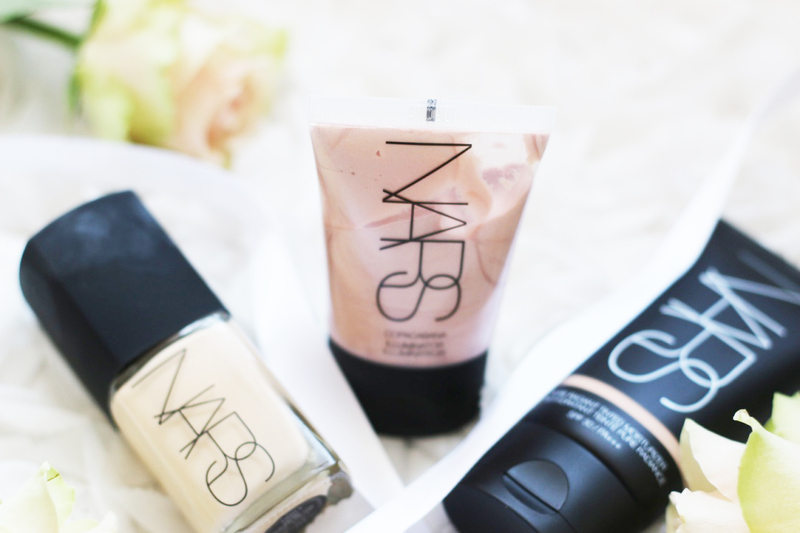 there are so many more makeup bits from nars i would love to try and some that have been on my wish list for ages and i decided to take the plunge and got my paws on some new nars items. 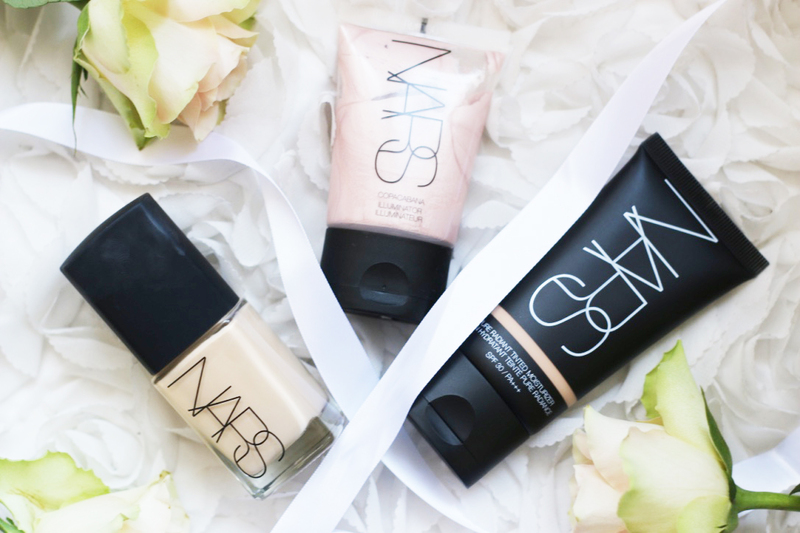 as some of you may know, nars sheer glow is the best foundation in my eyes and i have been getting it for years. i usually use the shade mont blanc but recently it started looking odd. a bit too light and pinky so i went for the more yellow toned shade which is gobi and it looks amazing. the match actually is better for me know and i will probably always use this foundation for the rest of my life. 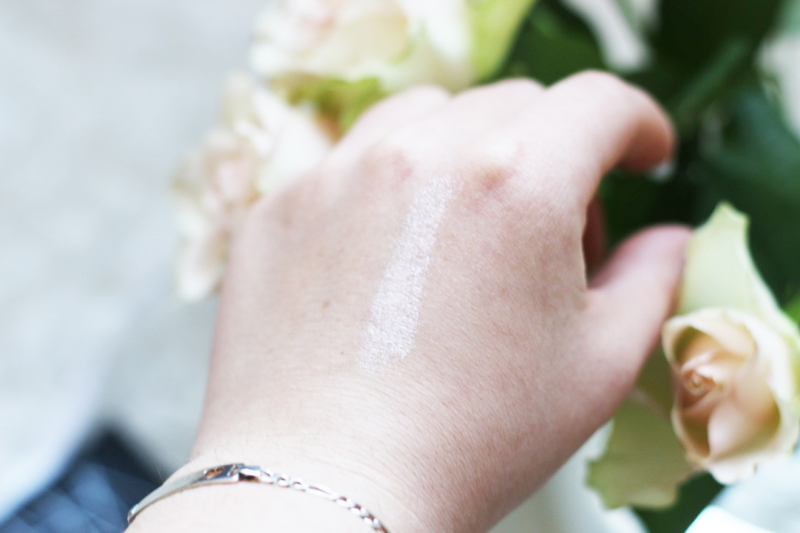 recently i have really been getting into tinted moisturizers and lighter coverages and since nars provides my favourite foundation i got the pure radiant tinted moisturizer in alaska. everything that says radiant is high on my list. i know wish i went for one shade lighter but since the sun has been out more i know i will be fine with the shade. its super light and so comfy to wear and actually makes me look so radiant and awake. now, i love everything radiant and glowy and obviously love all the highlighters around. however, i haven’t really dipped my toes into liquid highlighters and i wanted the nars liquid illuminator in copacabana for ages. its the perfect pink champagne and just great for very fair skin. a little bit goes a long way and i just feel so glowy and perfect when i have it on. so here we are. some new in nars bits. have you tried any of them? what do you think? please let me know.